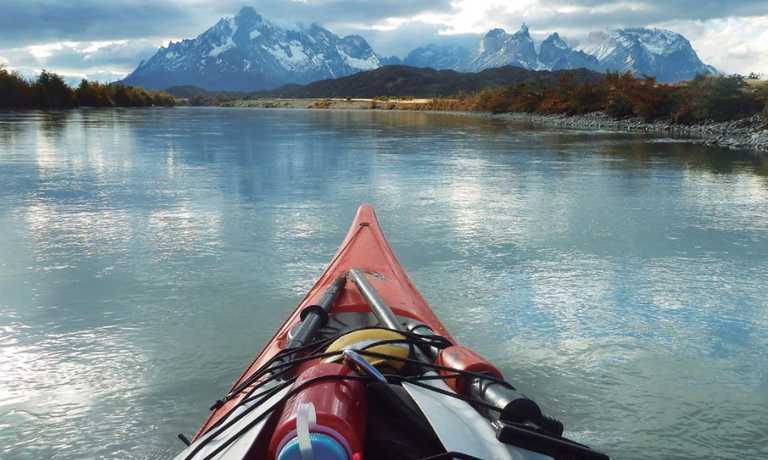 A scenic boat trip upriver to the Balmaceda Glacier on the first day cuts paddling time and makes this trip perfect for kayakers of any level. The first day ends with a traditional bbq at a remote campsite in the fjords & day two is spent kayaking among icebergs on the Serrano Lagoon before transfer back to Puerto Natales. 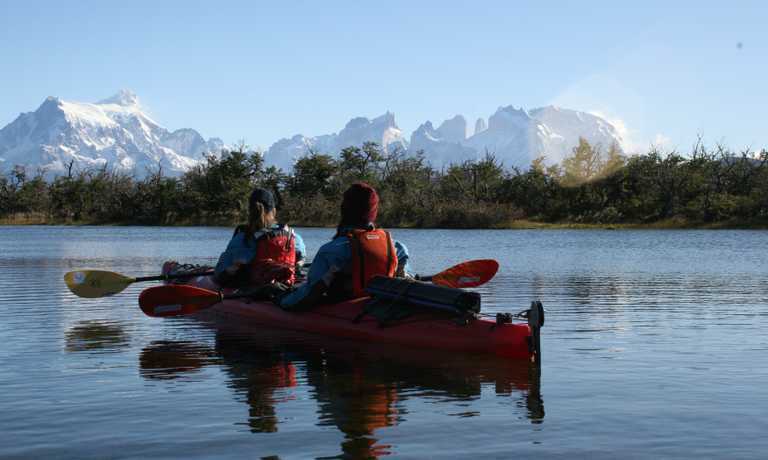 You will be picked up in private transportation at 7:30am from your hotel in Puerto Natales. It is a short drive to Puerto Bories (5km). Here, you will board the '21 de Mayo' boat. This will take you to Balmaceda Mountain, where the Balmaceda and Serrano Glaciers are. This beautiful navigation goes along the blue waters of the Ultima Esperanza Fjord for 3 hours, across places with a lot of history like estancias (ranches) along the way. You will be able to observe many species of birds as well. You will get to Toro Pier, which is the entrance to Bernardo O'Higgins National Park (the largest in the country) and in this quiet corner of Patagonia there is a camp ground only for kayakers. Here, you will set up camp and enjoy a nice lunch. 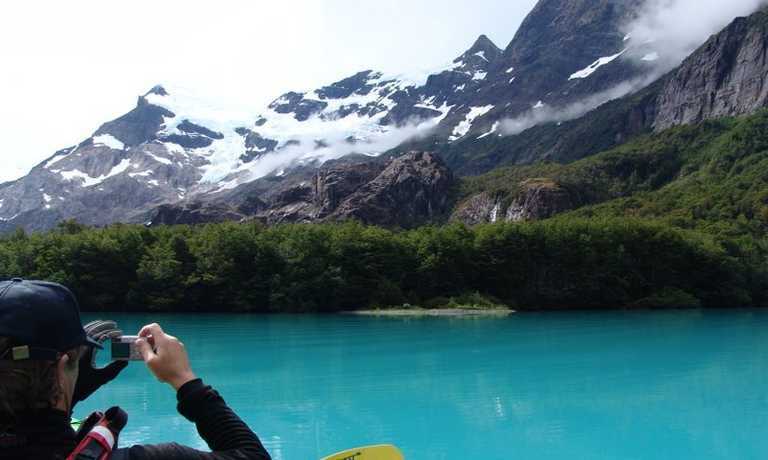 After lunch, the guide will give you a safety talk that includes an introduction to the basic kayaking skills, so you can get ready to paddle on the Fjord all the way to the front of Balmaceda Glacier. This is a coastal navigation that allows you to observe many waterfalls that come from small glacial lagoons on Balmaceda Mountain. You may see some Condors along the way. After the paddle, your guide will cook a special dinner on camp. You will portage the kayaks 50 meters from camp to Serrano Lagoon. 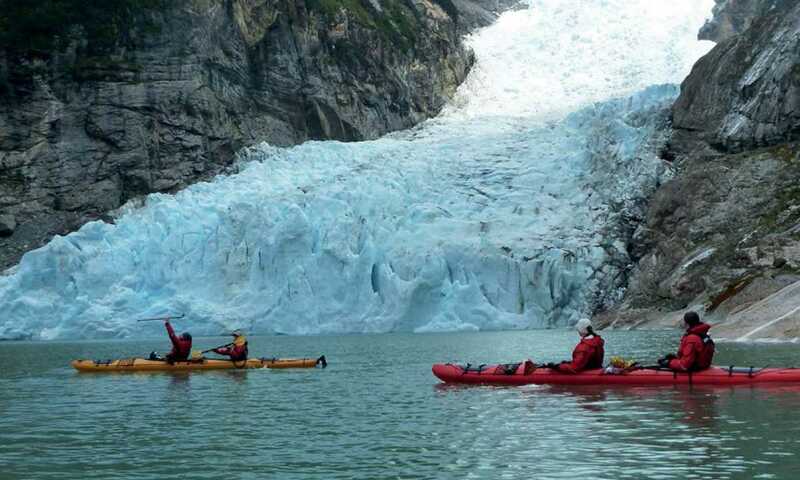 You will paddle among many icebergs in front of the magnificent Serrano Glacier. The first rays of light will give you unique views of this beautiful place. You'll have until 11:00am to paddle and to enjoy this ice scenery which is specially protected from strong winds. Back at camp, you will pack all the gear and get back to '21 de Mayo' boat, to go back to Puerto Natales. Along the way, there will be a stop at Perales Ranch, where you'll enjoy a traditional Magellan Lamb BBQ. After the lunch, you will get to Puerto Bories, where your private transportation will be waiting. You'll be back at your hotel around 18:30. This trip can run as a group trip, with prices starting from $650 per person for a complete group. If you are looking to join a group or you are a solo traveller we will help to form likeminded groups of travellers. Please let us know your travel plans. The price of the trip is USD $650 per person. Please get in touch for more details. Departures can be set up on a date of your choice for a minimum of 2 people.